In this episode of Know Your Food with Wardee, we begin an exploration of the basics of traditional foods — so you know how and why to implement traditional cooking in your kitchen. 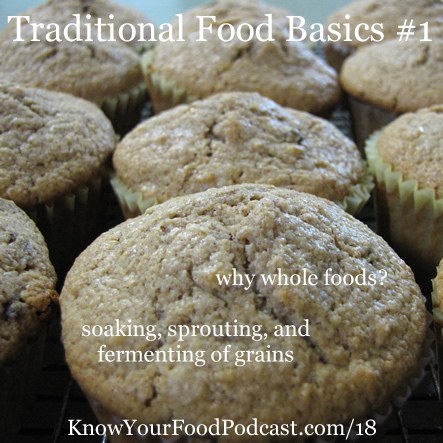 This week's topics are: the importance of whole foods and traditional grain preparation methods such as soaking, sprouting, and fermenting. You'll see lots of links and resources below, including free ones! This is the “W” in GNOWFGLINS (about GNOWFGLINS). Whole, unprocessed foods retain their God-given nutrients and enzymes. You’ll recognize their form. They look like themselves. An apple is an apple. Corn is corn (not high fructose corn syrup). Commercial processing — high heat, high pressure, and/or chemicals — denatures the quality of food and quite often, makes it unrecognizable. In addition, commercial practices involve adding excess sugar, excess salt, unhealthy fats, MSG, and/or artificial ingredients. We always use whole foods, in every recipe, in every lesson, in every class, in every video! What to buy. Every real food has a whole form. I couldn’t possibly list each one. A key question is: do you recognize the form of the food you’re buying? Another question would be: Would your great-great-great-great-grandmother recognize it? If so, it is probably whole. The whole foods you choose should ideally be naturally and organically grown, and when possible, purchased seasonally and locally. A recent wrench in the equation is genetically modified foods. There's a big deception going around — foods that look whole may not be because they've undergone genetic tampering with disastrous results. So here's a non-GMO shopping guide (or an app for your phone)! God’s design for all seeds (whether grain, nuts, or what we usually think of as seeds, like pumpkin seeds) was for them to be stable until the time of germination. He put protective measures in place — these protective measures get in the way of nutrition or digestion, unless we take care with our preparation. Phytic acid. All whole grains contain phytic acid in the outer layer, or bran. This phytic acid combines with minerals in the digestive track, blocking their absorption. A diet high in untreated, cooked whole grains may lead to mineral deficiencies and bone loss. Enzyme inhibitors. Raw, untreated, and uncooked whole grains, like all seeds, contain enzyme inhibitors. Digestion is impaired when the enzyme inhibitors prevent our digestive enzymes from doing their work. And if our body is busy making digestive enzymes to compensate, it makes less metabolic enzymes (which are essential for overall health and living disease- and condition-free). Hard-to-digest proteins. The process of soaking (and fermenting) grains partially breaks down the difficult proteins, like gluten, into more easily digestible components. I love the balance here! While we can rejoice in God’s perfect design to protect seeds until planting time, we can also take special care with our grains to make them fully nutritious. This is the first method of grain preparation. You take whole grains, like whole rice, whole millet, or even rolled grains like rolled oats. Soaking the grains in warm, acidic water for as little as seven hours will neutralize some or most of the phytic acid. What happens is that the acidulated warm soaking mimics germination — unlocking the enzymes, especially the enzyme phytase which neutralizes the troublesome phytic acid. 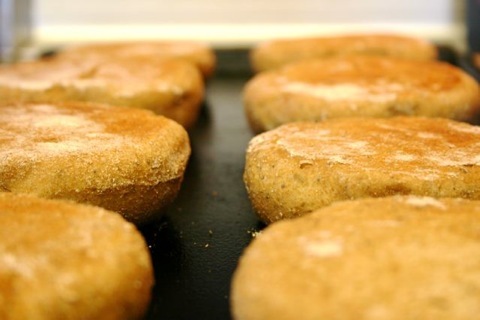 Or, you can work with whole grain flours as you create soaked whole grain baked goods — like delicious and nutritious muffins, pancakes, pasta and biscuits. You soak the flour a minimum of seven hours in acidic liquid. The acid will trigger the release of phytase, the enzyme needed to neutralize phytic acid. Here are the free “soaked” recipes on this blog, all of which teach you the soaking techniques I just described. All our soaked recipes call for whole grains or whole grain flours and the entirety of the flour is soaked for maximum digestibility and nutrition. In this traditional grain preparation method, we allow the seed to complete its germination, the end result of which are all the things we’ve discussed already: like the neutralization of phytic acid and enzyme inhibitors, as well as the breakdown of hard to digest components. But in addition to that, taking a grain to its fully sprouted stage allows it to perform its wonderful transformation to a young plant — a vegetable. The overall process looks like this: soak the whole grains overnight (but you don't need acid), drain, then allow them to sprout at room temperature for a few days, or until the sprout is 1/8″ to 1/4″ long. Be sure to rinse twice daily to keep them fresh and moist. 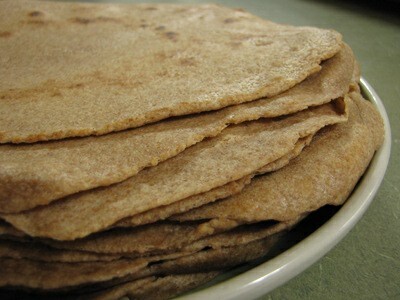 You can mash up the sprouted seeds into crackers or breads and bake/dehydrate. Or you can dehydrate the sprouted berries and grind them into flour and use them that way in your regular recipes without much modification — no soaking time required because the grains were already sprouted. Now sprouted flour is pretty easy to use, but because the sprouting has in effect pre-digested the grain, it is more fragile and doesn't behave quite the same. Or, discover sprouting grains in the Fundamentals eCourse and Fundamentals eBook! The third traditional method of grain preparation is the souring or fermenting of grains, like when making whole grain sourdough bread. Unlike today’s methods of bread-baking using a commercial, selected strain of yeast, we’ll harness the wild yeasts that God gave us. These wild yeasts (and the accompanying beneficial bacteria) will neutralize phytic acid and enzyme inhibitors, and break down hard to digest components such as gluten. How this method works is you combine sourdough starter with flour and additional liquid (if the recipe calls for it). You give it time to “sour” at room temperature — eight hours at a minimum for the most health benefits. Then you add the rest of the ingredients (like salt, sweetener, etc.) and bake. This way, all the flour was exposed to the starter for a good long time. The organisms in the starter neutralize phytic acid, break down gluten, add B-vitamins, and produce beneficial and flavorful acids. Here's a free video about starting your own sourdough starter. And below, you'll find lots of free sourdough recipes. All our sourdough recipes call for whole-grain flours and the entirety of the flour is soured for maximum digestibility and nutrition. Much more sourdough is covered in the Sourdough eCourse and Sourdough A to Z eBook and Complete Idiot's Guide to Fermenting Foods. Won't play for you? Try here. Mobile or desktop users, you can hear my podcast with Stitcher, on-demand and on-the-go. (What's Stitcher?) You can also get it on iTunes or subscribe in the Podcasts app. Please leave a comment or rating in iTunes and Stitcher — and thank you! This gives me good feedback and helps others find my podcast. I'd be grateful if you'd visit my podcast on iTunes and leave a rating and/or review. KnowYourFoodPodcast.com/iTunes or traditionalcookingschool.com/iTunes This helps me make my podcast better and also helps others find it. Thank you! Next week my guest is the lovely and gracious Katie from Kitchen Stewardship! For past or current episodes, check out the Know Your Food with Wardee podcast archives. In the comments please share your favorite soaked, sprouted, or sourdough recipes! Or share any questions or comments about whole foods or traditional grain prep methods. 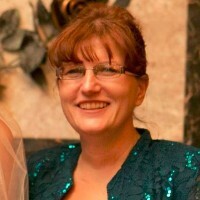 Hi Wardee – Love your website and grateful for all the helpful information and recipes. Am I confused but I keep getting the sourdough pancakes on the pancake link as well as the basic sourdough bread link? Your link to Basic Sourdough Bread (Spelt or Whole Wheat) went to the Basic Fluffy Pancake (Sourdough) recipe. I appreciate this detailed information. I have a question on this topic, how do we know we need to soak, sprout or sour the grain? Is there any scientific proof that this has to be done? If this is true that this must be done to make the grain more digestible for the body then I guess I would rather leave grains out. I don’t have the time to do this for each grain we eat. In a way it doesn’t sound like grain was made for humans to eat. I don’t mean to sound confrontational. I am new to this and want to understand it better before I go to all this extra work or cut out grains if they really are this harmful to our bodies. I would love to read more about this. Could you recommend where you got your information from? Thanks for any help you can give me! 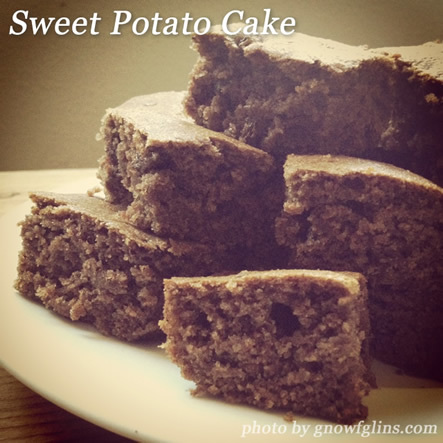 We are on the road to eating better and your site is very helpful! Good questions. The Weston A. Price Foundation has an article that gives great information on why soaking grains is important. You can read that here. Thank you for your reply. This information seems to be coming from a Sally Fallon. Have you ever heard anyone else discuss the need to this? Just curious because where ever I search, it just seems to go back to her. I just don’t want to base my whole nutritional philosophy on one person’s ideas. Thanks so much! I really do appreciate all your help!